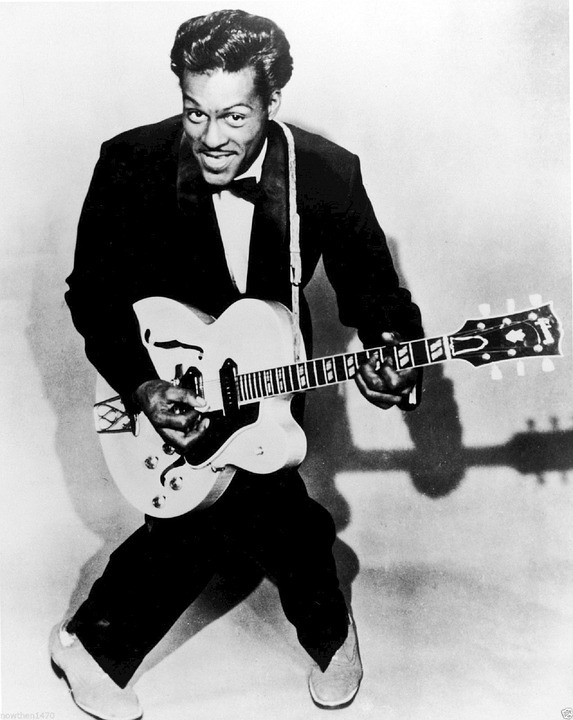 Sad to hear that Chuck Berry, the Father of Rock & Roll, has died at the age of 90. Berry—along with his boogie-woogie pianist Johnny (B. Goode) Johnson—played a key role in the alchemy of R&B, rockabilly, Gospel, and jazz that was taking place in the 1950s and given the name of "rock & roll." The infectious rhythm—combined with Berry's innovative lyrics that celebrated the consumerist culture of fast cars and fast food—attracted white teens to this emerging genre, helping to launch a new musical form—and even a new demographic.